I use some locking & stacking trays for the damage and other small tokens. 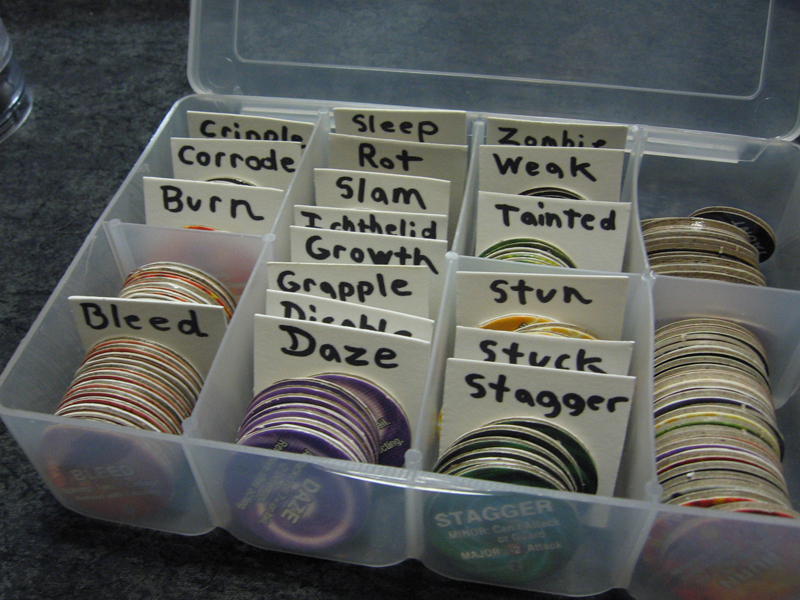 As for the condition markers, I took the time and split them all in half, added 1.25'' discs punched out from comic boarding and glued to make up the lost weight, and in the end resulted in all entirely single-sided condition markers, making it easy to sort and find. 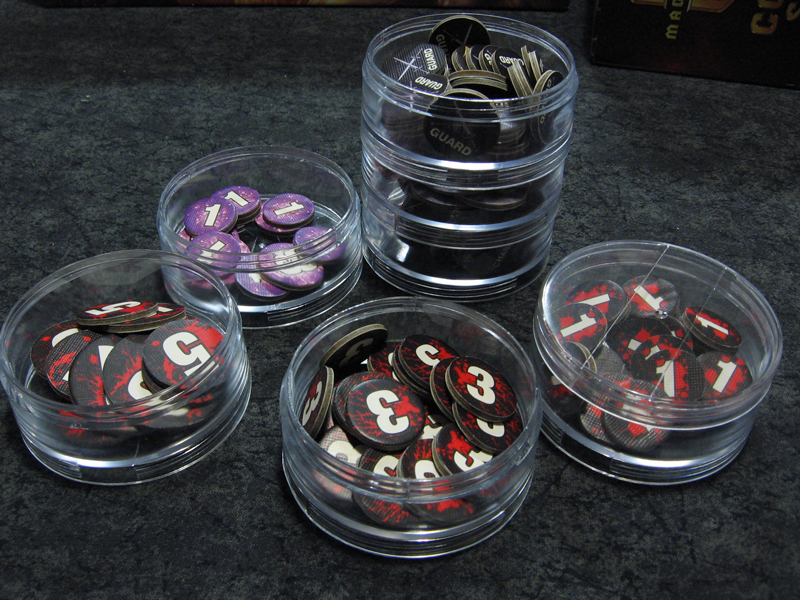 Complete storage system for all components of the core set and Arena expansions. Once you get to the BGG site, scroll to the right for a layer by layer picture of the entire kit. Pretty awesome! How heavy is that with everything in it? Not too bad. I will put it on a scale when I have a chance. It only has about 12 spellbooks maximum at any time so that keeps the weight down some. It comes with a handle and a shoulder strap. When I am at conventions I use a rolling bag and stack this on top with other games when I go to open gaming or tournament events. For local travel from house to car it is not a problem.